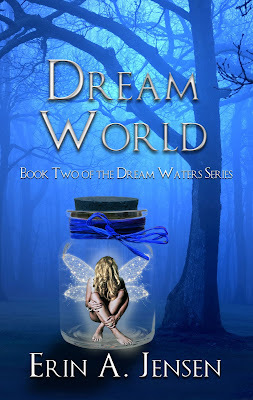 Goddess Fish Promotions has organized a Virtual Book Tour for the DREAM WATERS series - DREAM WATERS (Book One of The Dream Waters Series), DREAM WORLD World (Book Two of The Dream Waters Series), DREAM SIGHT (Book Three of The Dream Waters Series) by Erin A. Jensen. Books 1 and 2 of the adult contemporary fantasy series are currently available. Recently released from a psychiatric facility after discovering that he is a dragon and his Dream Sight is not a delusion but a gift, Charlie Oliver sets off to accept the invitation extended by a powerful dragon and potential mentor to join his ‘family’ of Sighted individuals. As his demon guides begin to instruct him, Charlie quickly discovers just how little he actually knows about the Dream World and the creatures who inhabit it. While Charlie stumbles through his lessons and struggles to bring out his inner dragon, Emma Talbot has her own struggles to deal with now that she’s been taken from the facility and placed under house arrest. Imprisoned within the same walls as the husband she suspects of being an adulterer and a murderer, Emma grows weaker while her world continues to crumble around her. As Charlie begins to tap into his dragon instincts, he learns more about Emma’s past and becomes increasingly convinced that he needs to save her. But what if the very prison that binds her is the only thing protecting her from what lurks beyond? It was exactly the sort of evening that I relished slipping into. No moon, no stars, just the pitch black of the eternal night sky and the air that sweltered thick and hot enough to rob the breath from your lungs. I sat down on a boulder beside the seemingly bottomless pool of Water and watched the Water cascade into it from the rock high above. Dark and powerful, the Water fell without a sound. In fact, not a single sound emanated from the forest. Nothing dared make a sound in my presence. I sank into the darkness, merged with it, became it. Then I looked to the top of the canyon a short distance from the Waterfall and knowing black eyes blinked in the darkness, vowing to take my place as soon as I stepped away. I turned as a creature noiselessly emerged from the forest. Dressed in a heavy black cloak, beads and potion flasks and the teeth of various beasts strung around his neck and waist, he walked upright like a man. But beneath his cloak, the creature sauntered toward me with the bestial grace of a predator. His skull and facial bones were the bones of a man, but no flesh covered them, just pure white bone gleaming in the darkness. A wiry tuft of black hair grew from the top of his skull and eyes darker than the starless sky searched for me through fleshless sockets. I think I’d have to choose telekinetic flight. I can’t think of anything cooler than being able to fly. I’ve got some weird texture issues when it comes to foods. When I was pregnant, I couldn’t stand the feeling of chewing chicken. I’d have to spit it out unless it was cut into super tiny pieces. Squished white bread has always disgusted me to no end. My younger sisters used to squish pieces of Wonder bread into little balls and eat them just to gross me out. Also, it bothers me when people package squishy leftovers in plastic bags. Pasta dishes, mashed potatoes, that sort of thing just doesn’t belong in a plastic bag. Yes, it’s weird. But you asked for something surprising and that’s what came to mind. When writing descriptions of characters, what feature do you start with? That is an interesting question. I actually had to go back and skim through my first two books because I really wasn’t sure what feature I usually describe first. Turns out, it’s the character’s hair—even if the character happens to be bald, I’ll start by describing his lack of hair. I guess I start from the top and move my way down. Who knew? The one exception to this was my description of Tristan when I first introduced him in Book Two. I started with his strikingly beautiful face, which fits if you know the character. I’m actually a hybrid of the two. I start by plotting out the major chapters and ideas on index cards. Then I rearrange the cards and add or subtract scenes as I go along. But there are plenty of instances where I sit down to write and my characters go off in a completely different direction than I’d planned. I swear they have minds of their own. Did you learn anything from writing Dream Waters? Absolutely. 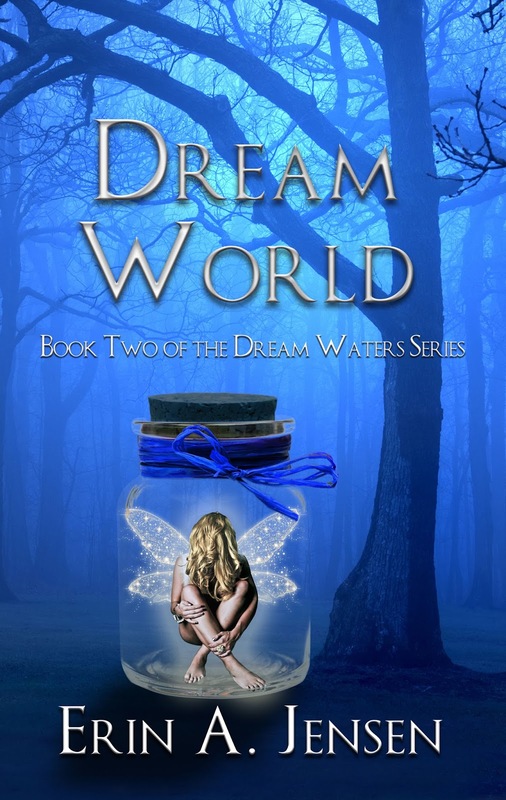 Dream Waters was my debut novel, and it took me approximately three years to write. A lot of that time was spent re-writing because the process was new to me. I learned that writing a book involves more editing and re-writing than actual writing. The words don’t just flow perfectly when you first capture the story on paper. You have to go over and over them until the finished product finally emerges. I also learned to give my characters some room to breathe. Sometimes, they’ll surprise me and do things I really hadn’t planned but often those things are better than what I had in mind. I know that sounds crazy, but it’s true. Once you develop them enough, characters take on a life of their own. I also discovered that writing is my passion. I feel like writing books is what I was meant to do. The feeling of elation I get when I finish a chapter or wrap up a novel is like nothing I’ve ever experienced before. 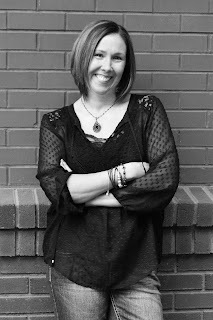 Erin Jensen is a part-time pharmacist and a full-time creator of imaginary worlds. She lives in upstate NY with her incredibly supportive husband, two sons (who are both taller than her) and a Yorkshire terrier who thinks he’s the family bodyguard. In the early days of her writing career, Erin vowed to get a dragon tattoo—once her books received a milestone number of reviews—but she won’t disclose that number any longer, for fear of actually reaching her goal and having to go through with it. I am really enjoying following this tour, thank you for all the great blog posts, interviews and excerpts! Thank you, James, and thanks for following my tour! Good luck with the giveaway. Thank you, Lisa! I've really enjoyed connecting with so many fellow book lovers. This book has a really cool cover! Thank you, Debbi! My husband designed all my covers. He does a beautiful job. Thank you, Mayor! I appreciate you helping me spread the word about my books! Thank you, Joseph! Good luck with the giveaway. Sorry it took me so long to stop by. I was out of town giving a presentation at a nearby library. Good luck on the tour. This book series sounds amazing and I can't wait to start reading them! Thanks for the giveaway!